A retro radio is one of the most ideal additions to any home. Stylish, invoking a 50s or 60s style, it's all part of the retro revival we've seen in home interiors in the past decade. But remember, we're not actually living in the past, so we can choose products that have the very latest tech, but evoke that nostalgic style. DAB radios are the perfect choice. 50% of all radio listening in the UK is now on digital. And if radio lovers want to listen to the growing band of digital only radio stations, they need a DAB radio to indulge their hobby. 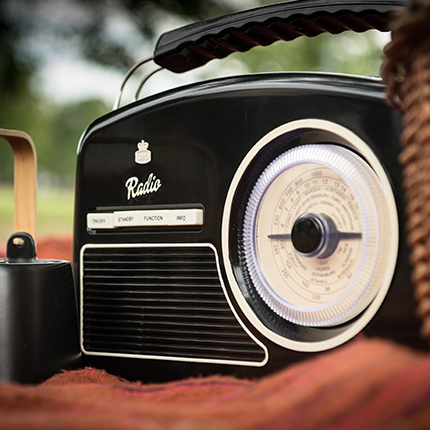 With its 50s inspired style, available in either black or cream, the Rydell DAB radio is portable and lets users preset 20 radio stations. The clock can be set automatically to DAB, there's also a sleep or snooze function. 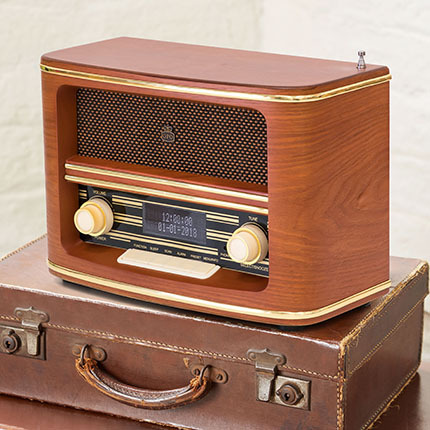 The Winchester is a retro style radio with a wood finish, classic speaker grille and brass style control. In its DAB style, there are 30 DAB stations that can be preset. The alarm can be set to either DAB or the buzzer feature. There's an LCD display that's easy to read and lets the user tune into and scroll to their preferred station. The radio features an automatic time update, a sleep and snooze function on the alarm and is powered through the mains. The Brooklyn boombox might not look like a DAB radio, but it's certainly one of the features it carries. 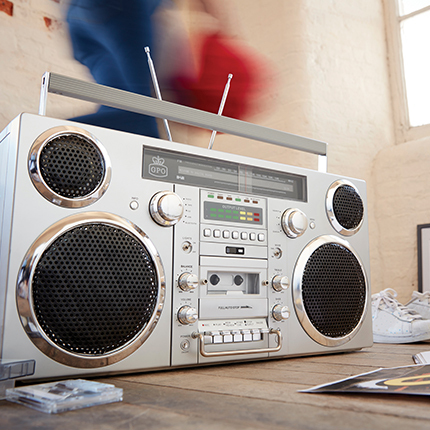 The DAB radio sits alongside the boombox's retro 80s style, cassette player, CD player, 2 x 40 watt speakers, Bluetooth, and USB connection. The radio can utilise the unit's 80s retro style back light and digital VU indicators. The Chesterton turntable already allows for the play os 33, 45 and 78 records and a turntable. It has Bluetooth, playback for USB and MP3 player and CD player. 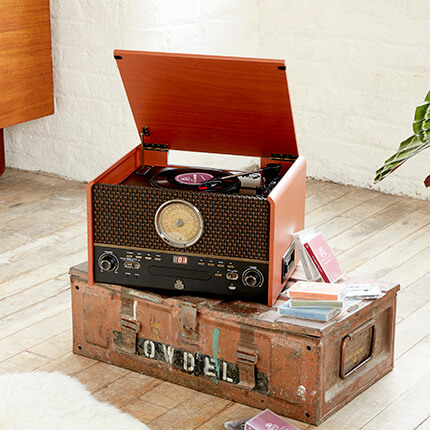 It also features a DAB radio, allowing for listening using the record player's built in twin stereo speakers.